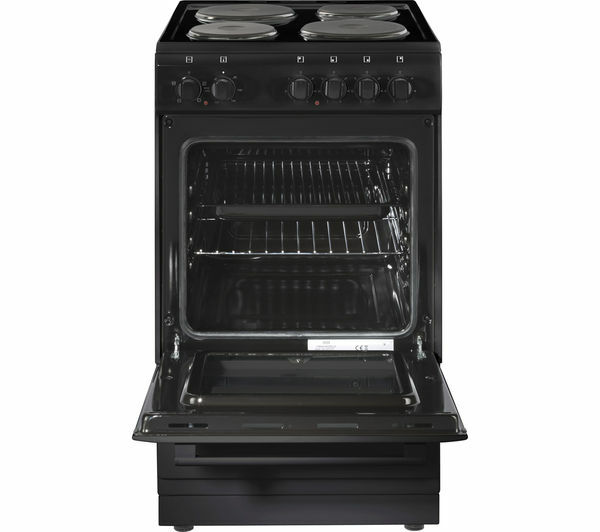 With a spacious 53 litre capacity, you have plenty of room to cook family sized dishes or large meals for dinner parties. 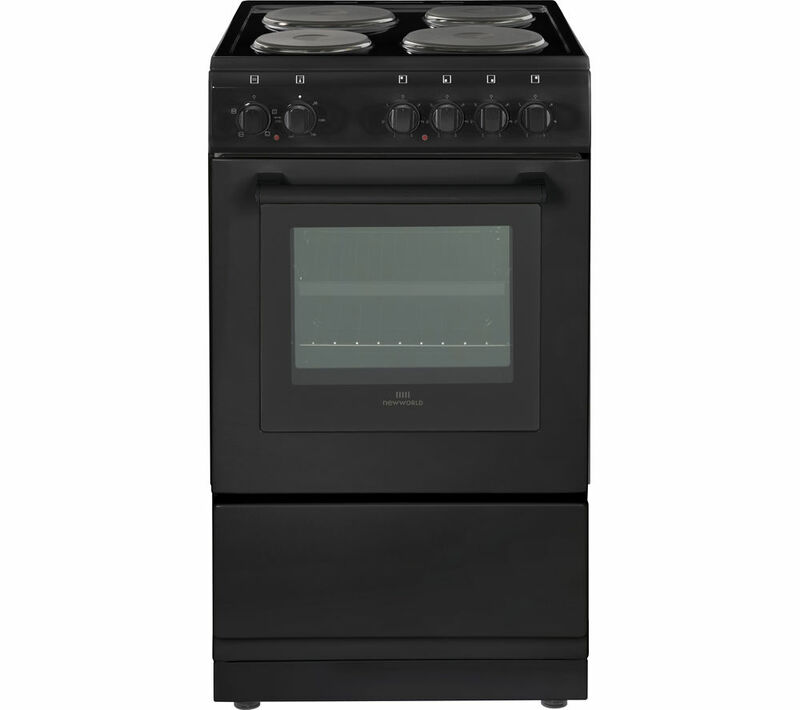 Whether you are batch baking or cooking for the entire household, with this New World NW50ES 50 cm Electric Cooker you'll have a great amount of space to cook what you want, when you want. Great product. Works perfectly. Staff who done installation were very polite and kind and nothing was too much trouble. The cooker was a present for my mum and she loves it. We both do. Only 1 shelf in oven would have been better to have 2 shelves. 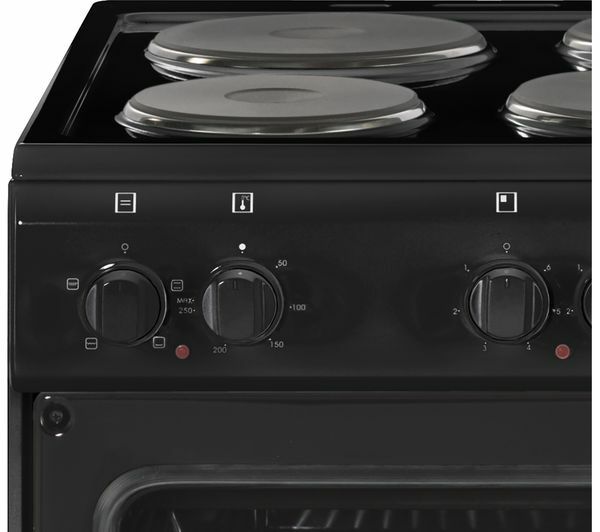 Instructions manual wasn't clear with what setting the grill and oven is no picture pointing out what is what so very confusing to understand how to use the cooker had to speak with someone from the make of the cooker on live chat online to find out which one is which. We were very disappointed in how poor the instructions manual is and how things are not made clear. 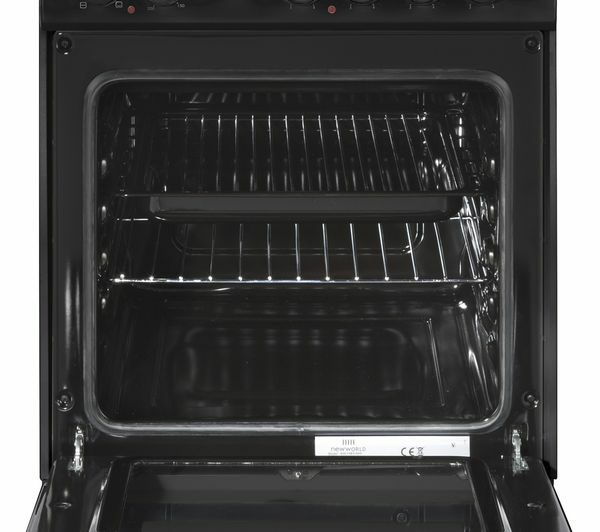 I ordered the cooker as a present for my mum and I wasn't going to tell her about it until it arrived but because we would need to remove our old cooker I had to tell my mum about the new one which is a good job because even though I put my contact details in my mum ended up with a confirmation text which would have ruined the surprise.